In March’s Allure Magazine, there was an article about how women don’t wear sunscreen because it is a step that doesn’t show any immediate payoff. In ten years, it definitely has a payoff. But when you use it and apply it correctly, nothing happens. Women are more likely to regularly use sunscreen if it is a formula with skincare benefits beyond just sun protection. 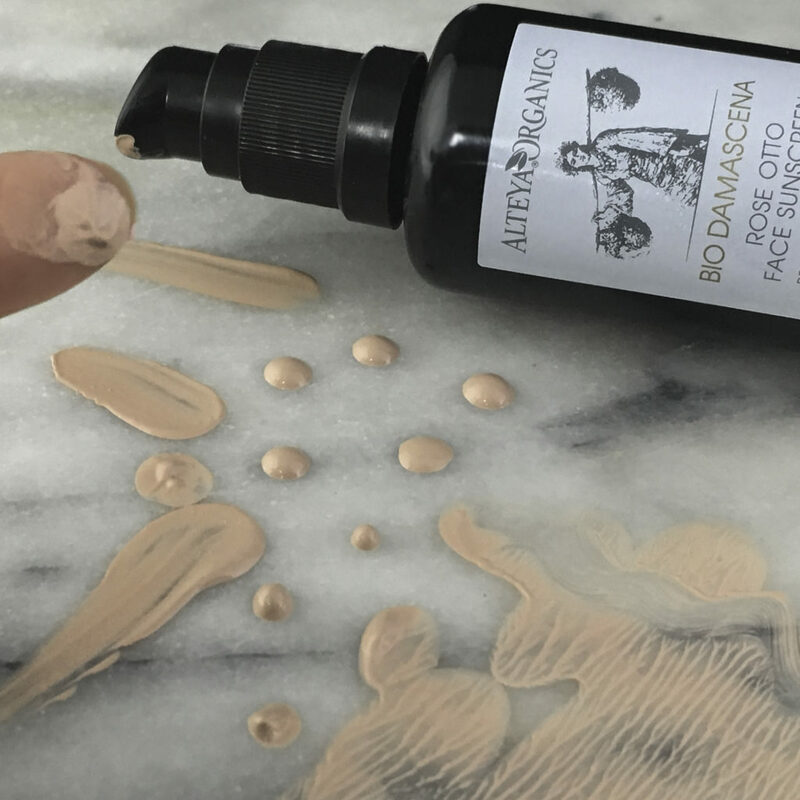 It also helps if the formula is a luxurious, decadent part of your skincare routine, and that is why we love Alteya Organics Rose Otto Face Sunscreen. Now as any Style Chicks reader knows, we advocate sunscreen use 365 days a year, no exceptions. We personally demand a lot from our sunscreens, and we love when there are other skincare benefits beyond UV protection. 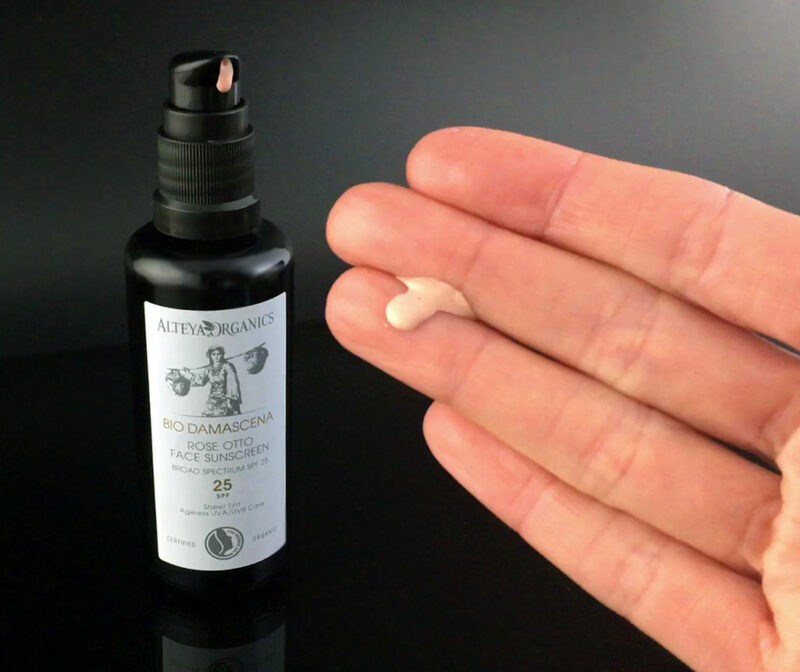 So let’s take a look at why we feel that Alteya Organics Rose Otto Face Sunscreen is a great sunscreen choice. 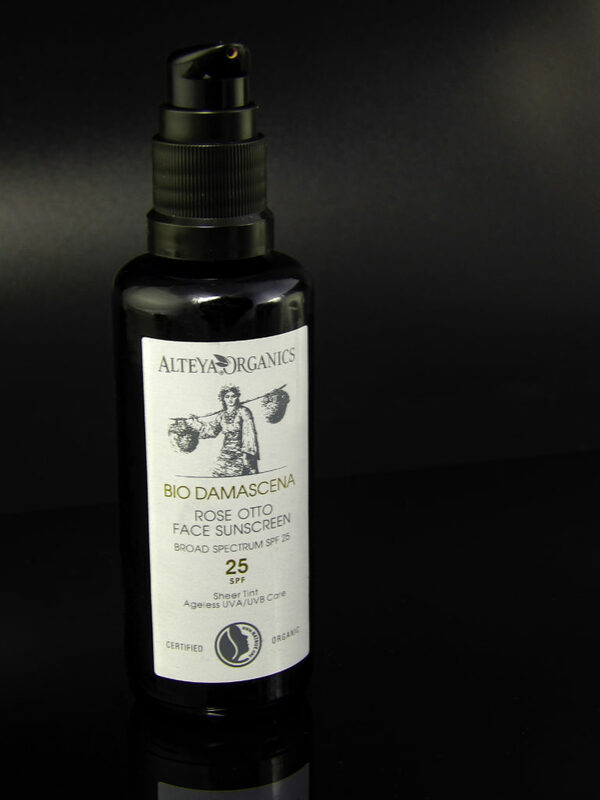 Alteya Organics Rose Otto Face Sunscreen is a decadent day lotion with SPF 25 protection. The silky formula contains several anti-aging ingredients, so it combines sunscreen and potent skincare into one luxurious lotion. It has a very sheer pink tint to it to add a bit of light coverage. The bottle is also gorgeous: perfect for display on your vanity table! The formula contains organic ingredients: no chemicals seeping into your pores! 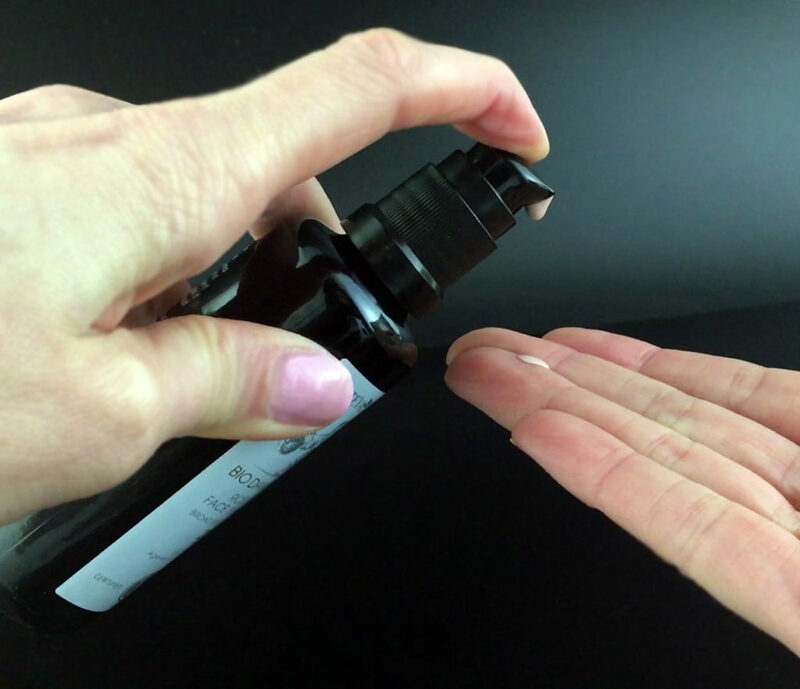 Broad Spectrum, Certified Organic and packed with skin-loving ingredients like Sea Buckthorn, Aloe Vera, Sunflower, Avocado, Rose Hip, Jojoba, Pumpkin Seed and Evening Primrose Oils, and Rose Otto Essential Oil. Rose Otto Face Sunscreen protects against the Sun’s rays with Zinc Oxide. It works to improve your skin with a myriad of wonderful ingredients including Vitamin C to undo past sun damage and lessen fine lines and wrinkles. It has an impressive number ingredients that hydrate and improve skin, including Sunflower Oil, Coconut Oil, Shea Butter, Jojoba Oil, Pumpkin Seed Oil (which contains a high level of antioxidants), Macadamia Oil, Aloe Leaf Juice, Avocado Oil, Rose Hip Oil, Evening Primrose Oil, Acai Fruit Oil, Vitamin E, Sea Buckthorn Fruit Extract, Lavender Oil, and a ton of other impressive ingredients. This is a lotion that packs potent anti-aging ingredients and has the bonus of being a broad-spectrum, organic SPF! We love how silky the formula feels on our skin, and how it absorbs into the skin without feeling greasy. 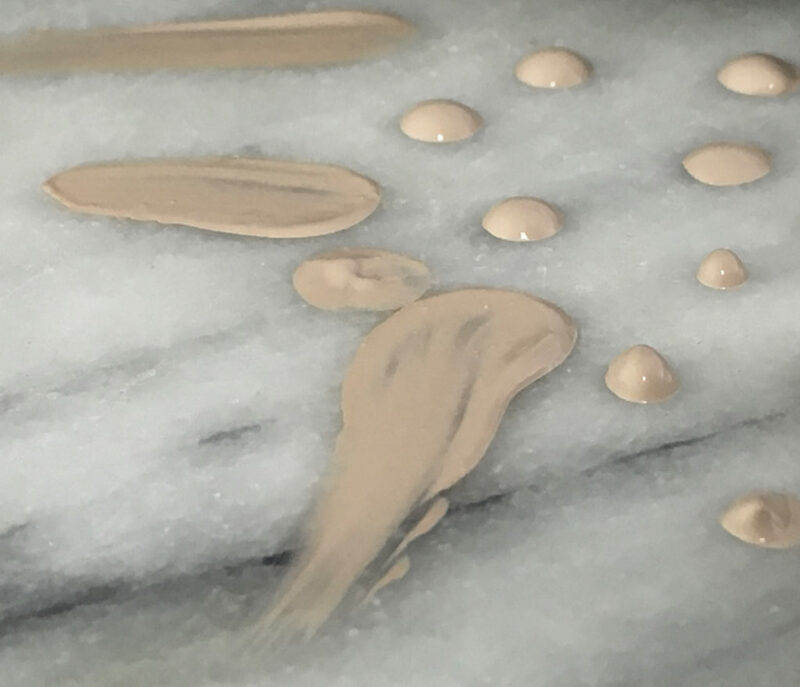 It leaves a smooth, supple, hydrated base for your makeup routine. If you are leaving the house fresh-faced, it gives the skin a dewy, healthy finish. There isn’t a chalky feel or look to the formula like many sunscreens, and if you are worried about photography flash-back, don’t be: skin is left even and smooth, but not shiny. This makes it an ideal sunscreen for outdoor weddings. The directions state that it should be reapplied every two hours. 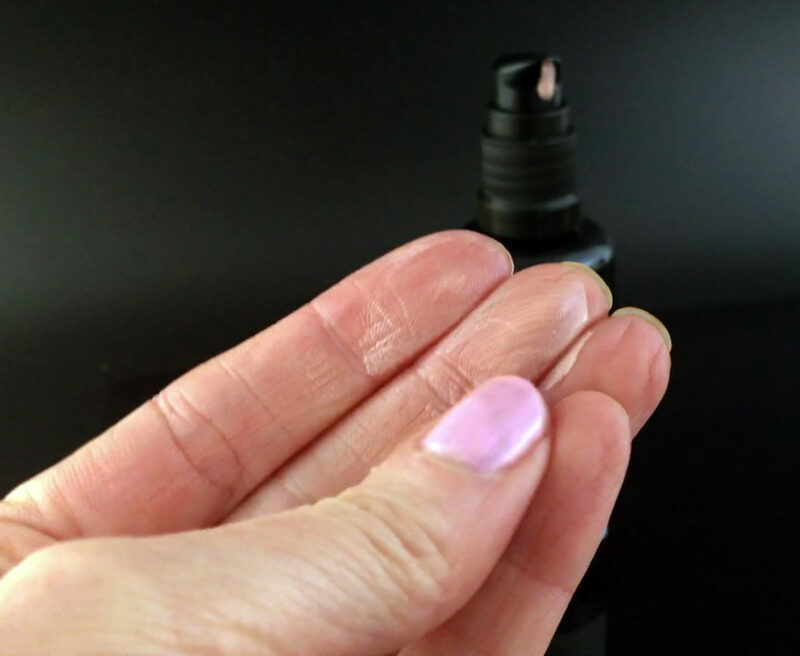 All sunscreens should be reapplied every two hours, but what I love about reapplying Rose Otto Face Sunscreen is that it refreshes my makeup if I re-apply it over my makeup, and gives my skin a mid-day shot of moisture if I’m fresh-faced. Blend as transparent as needed without it becoming chalky or obvious. Does not settle into fine lines. The rose scent is AMAZING. I generally prefer scent-free skincare, but in this case, the scent is what makes it so luxurious. It isn’t too strong, just enough to make you look forward to putting it on in the morning. Take a moment to relax in your busy morning and enjoy the scent as you treat your skin! 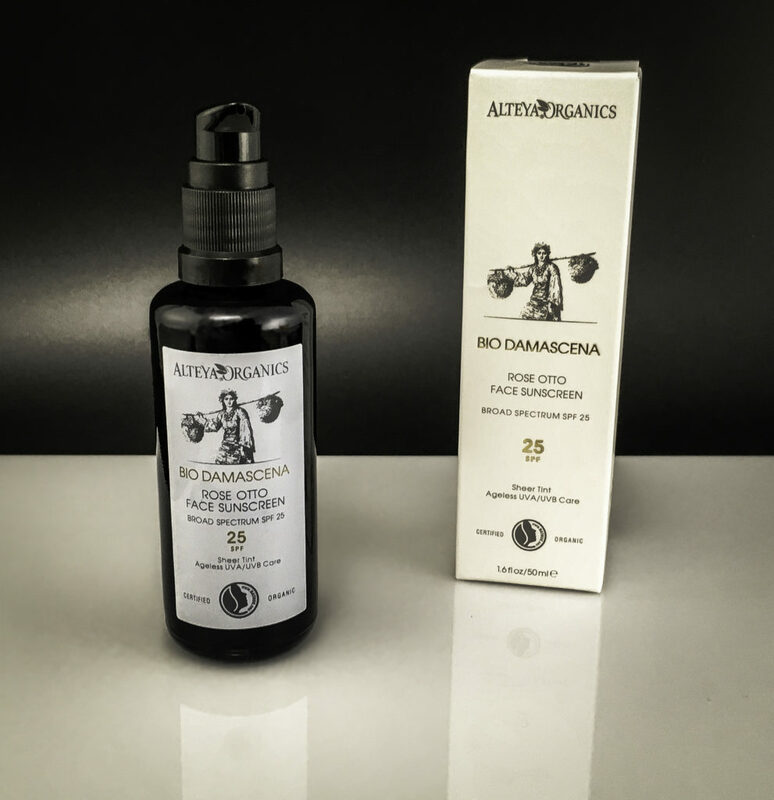 The rose scent is not just an olfactory treat: it denotes a key ingredient of what makes this sunscreen different from any other rose scented products you may have encountered, as it is not your typical rose, but the rare Bulgarian Rose Damascena, or Rose Otto. Rose Otto comes from the petals of the Bulgarian Rose Damascena, from one specific rose valley. Bulgarian Rose Otto is considered one of the most precious essential oils in the world. It has a host of skincare benefits including detoxifying, acne-preventing, anti-aging, moisturizing and rejuvenating. Alteya’s rose plantations are in that Bulgarian Rose Valley, and they run a specific distillation cycle to produce Rose Otto essential oil to their exacting standards for treating even highly sensitive skin. Atleya Organics Rose Otto Sunscreen is an easy way to add sunscreen to your daily skincare plan as it applies and wears like a luxury face lotion, it smells wonderful, it treats skin like a pampering anti-aging skin care program with the added benefit of coveted Rose Otto Essential Oil, plus the hint of pink tint gives skin a youthful baby skin like glow. 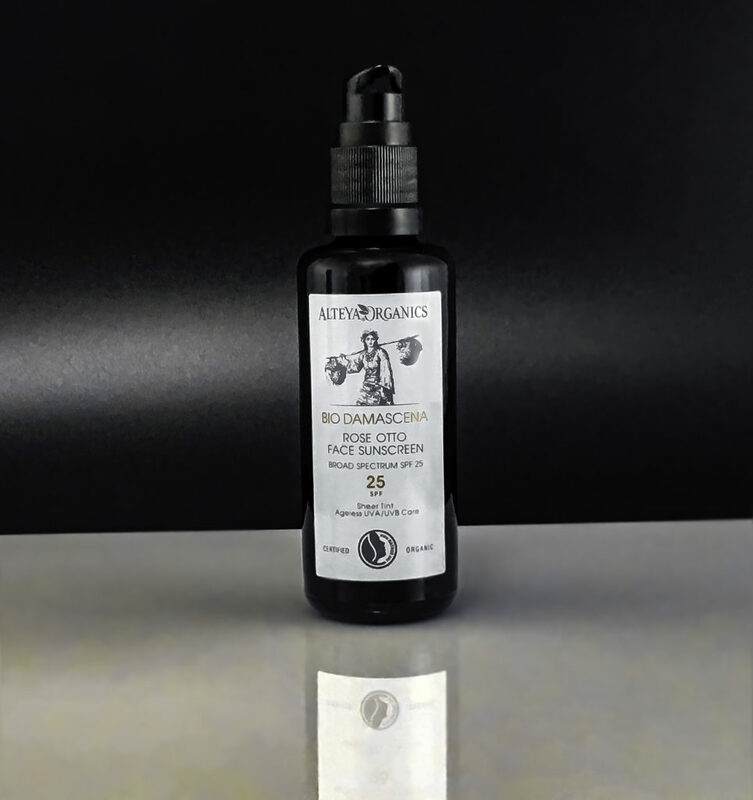 An organic product with Broad Spectrum SPF 25, it protects skin while making it look good now and in the future. Beautiful enough on skin to wear to events you will see and be seen, and it does not contain the ingredients that cause “sunscreen flashback” in photographs. The texture applies easily and does not become chalky. Blend for slight coverage or to virtually transparent and just a hint of tint for a fresh-faced look and feel. 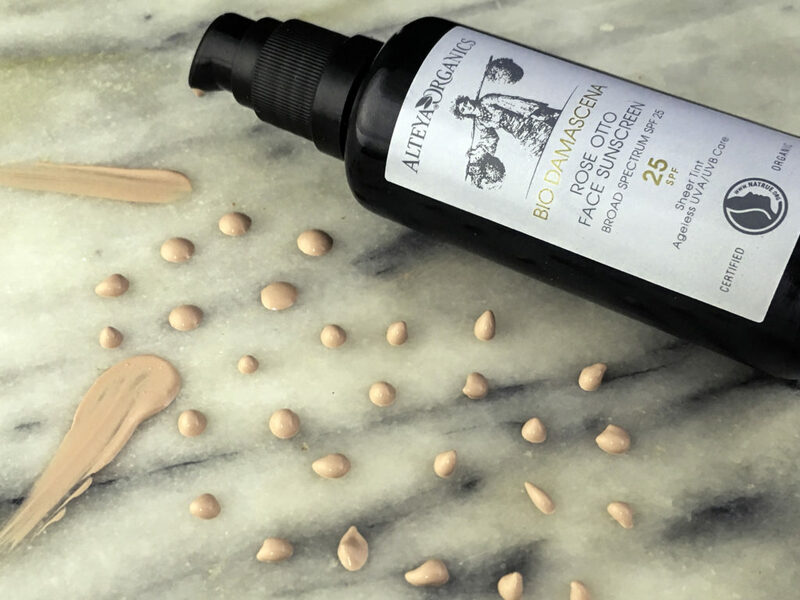 Find Alteya Organics Rose Otto Face Sunscreen at http://alteyaorganics.com/product/rose-otto-face-sunscreen and get 5% off with code StyleChicks5. 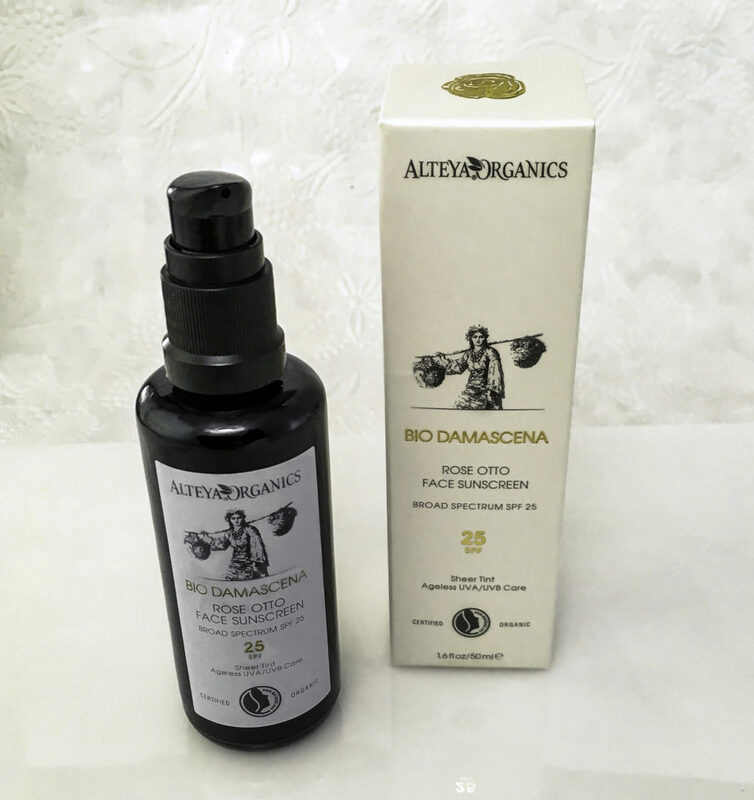 We received Alteya Organics Rose Otto Face Sunscreen in exchange for our unbiased review and received compensation for our time and effort. However, our experience with the product and the opinions expressed in this review are 100% ours.